Atomos will be announcing the newest addition to the ever-expanding line of external recording devices. Briefly, there was a leaked video online until it was made private. It will probably reappear tomorrow. The Ninja Assassin will be the Shogun’s little brother. By little, I mean it does not have SDI inputs. But by all other accounts it has everything else including a rugged bumper around the edges. 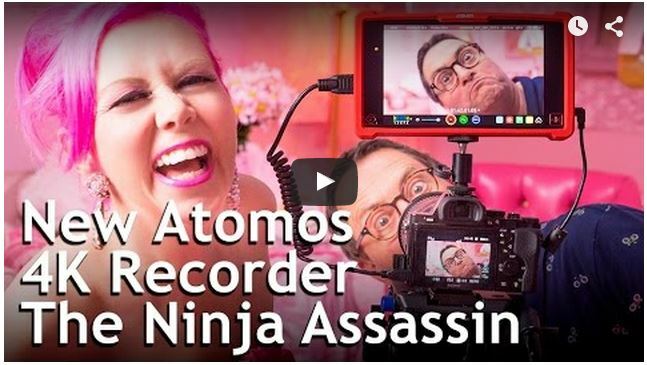 This once again shows that Atomos really listens to it’s customers. That is the one thing about the Shogun that registered the most complaints from the public. The anticipated retail price will come in at around $1500. Figure that Atomos will come out with a barebones version as well. Many believe this new competitor in the market is a direct rebuttal to the PIX-E and Odyssey Recorders. Full details will be forthcoming as soon as I get them from Atomos.